Globalism has spread western ideas so widely during the past several decades that traditional ideas such as the self, gender and family are drastically transforming in Taiwan including indigenous communities. Although the Thao people, who are Austronesian-speaking indigenes living at Sun Moon Lake, preserve their traditional religious beliefs and practices, the transformation is very obvious even in religious specialistsâ€™ performances. The Kiranti are considered to be the indigenous people of the eastern hills of Nepal. Less than two hundred years ago an immigration of Indo-Aryan Hindus and Tibeto-Burmese peoples from central and western Nepal started. Nowadays the region is multiethnic and Kiranti culture, particularly the oral shamanic tradition, is heavily influenced by dominant Hinduism and Buddhism. But there is also bilateral cultural exchange between the shamanic traditions of different groups. In contemporary Nepal the shaman becomes an important symbol for the representation of ethnic groups and their traditions, often opposed to Hinduism and Buddhism. Hence, shamanism is a domain of cultural exchange, influenced by power relations, on the one hand, and cultural distinction, discrimination and identity-building on the other. How did immigration influence the shamanism of the Kiranti and how did theirs influence the shamanism of immigrated groups? What are differences in the shamanisms of the Kiranti and the immigrated groups? What role does shamanism play in the building of distinct ethnic identities? Significant answers to these questions are found in the relation of the shamans and their people to landscape and local spirits. In nocturnal rituals, shamans are possessed by guiding spirits and their souls go on journeys that lead through the material environment of the area. These ritual performances reveal important information about cultural differences, identities and memories among the various groups of the area. I will conduct research in the settlement area of the Kiranti sub-group of the Nachhering Rai in the north-eastern Khotang district of Nepal. The whole area of the Sakha Republic (Yakutia) is characterized by a good number of sacred places referring in particular to lakes, rivers, trees, mountains, hills, plains. They are normally indicated with the sakha words Ytyk (sacred) and ÃˆhÃ¨, ÃˆbÃ¨ (grandpa, grandma). ÃˆhÃ¨, for instance, stands for the Lena river, as the word Lena is never uttered. Male and female shamansâ€™ graves, which are generally placed deep into the woods, are also considered sacred places. Almost every Sakha, before crossing a river or passing by a sacred tree or a shamanâ€™s grave, leaves food offerings, but also cigarettes, cds, dvds, small presents and avoids speaking loudly in order to prevent attacks from the spirits or the dead shamansâ€™ souls resting there. In the past ten years, a growing number of travel agencies started to propose package tours to KihillÃ¨Ã¨kh, a rocky mountain complex in the northern end of the Sakha Republic, some 700km from the capital-city, Yakutsk. The tourists, generally of Sakha origin, start their ascent at a nearby basecamp, then walk to and sleep at the foot of the mountains, and come back after a week. Tourism in KihillÃ¨Ã¨kh mountains has recently raised many doubts and controversies. The most debated point rests on the question whether KihillÃ¨Ã¨kh was a sacred place turned into a touristic spot or viceversa. Some native scholars and journalists argue that sacred places are not for many, therefore the mountains, sooner or later, will take their revenge; others state that the mountains possess healing powers: the amount of people who actually improved their health conditions after being at KihillÃ¨Ã¨kh is increasing. My paper wishes to assess the creation of sacred places, their meaning and the politics of revival of shamanic culture in the Sakha Republic. The Sudanese á¹­umbura spirit possession cult has been traditionally practiced by descendants of slaves and other subalterns in the low-class neighbourhoods of the big urban centres. Guided by a female leader, the ecstatic devotees dance in the rhythm of drums and the rabÄba lyre, singing songs which celebrate an alternative positive self-identity. Today, á¹­umbura is also combating witchcraft-related threats and other ills associated with economic uncertainty, thus attracting members of the middle classes and even foreigners. 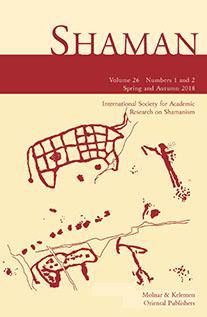 In this paper I discuss a particular line of descent which shows that since the very beginning of the 20th century certain á¹­umbura groups in the area of Khartoum integrated with another type of practices with distinctive characteristics of classical ancestral cults as well as shamanistic qualities. For lack of a better name, I refer to this side of the á¹­umbura spiritual universe as â€˜the cult of the Banda sacred treeâ€™, focusing on the cultic practices surrounding a huge tree in BurrÄ« AbÅ« á¸¤ashÄ«sh, a low-class neighbourhood near the banks of the Blue Nile. The tree is seen as the abode of the black snake KundÃ©, a manifestation of Azraq Banda, a Muslim shaykh allegedly buried nearby. At the same time, Azraq Banda is a quasi-ancestral sprit associated with the Banda tribe, the initial inhabitants of the area who had been settled there as manumitted slaves around 1900. Until today, the â€˜lady of the treeâ€™ offers libations to the snake, effects cures for the patients who visit her, walks on the waters of the Nile up to the Red Sea 800 km away and communicates with the spirits via two sacred sticks and a cell-phone. Witchcraft, shamanism, spirit possession and the Muslim cult of the saints are all intertwined in a complex cult that straddles the dawn of Sudanese modernity with is neo-liberal presence. This paper examines the role of boarding schools in the construction of DinÃ© (Navajo) cultural identity and social personhood. Closely tied to traumatic events of colonization (for example, war, displacement, and disease), boarding schools have had a tremendous emotional and physical effect not only on those who have attended but also on the group as a whole. Recent literature suggests that boarding schools are a focal point in triggering and sustaining Historical Trauma (H.T). My fieldwork reveals that the boarding school experience is still discussed to this day, often drawing upon the colonization era to explain contemporary social ills and suffering. I explore these tensions in relation to the primary concept of DinÃ© well-being, namely hozhÃ³ (harmony through balance). The experience of boarding schools has been tantamount in redefining DinÃ© constructions of traditional personhood and wellbeing, not only due to the loss of language and traditions, but also because it challenges DinÃ© understandings of embodied balance. The DinÃ© connect the practices of forceful transformation of the body and its practices (e.g. cutting of hair) in boarding schools to violence and disruption of harmony that is extended to the landscape. Islam was remodelled by regional traditions to comply with religious-philosophical ideas since the advent to Java in the 15th century. The fundamental patterns of ancestral, shamanic, mythical belief and Hindu-Buddhism were integrated within Sufi Islam, and the Sufi principle of â€œuniversal tolerationâ€ negotiated with pre-Islamic culture to affirm the â€œoneness of Godâ€, transforming it in accordance with Islam. According to Javanese Muslims, the multi-tiered roof symbolises the mythical path to God, based on Sufisâ€™ view, while four columns signify the spiritual context of the vertical unity between God and them, continued from the Hindu belief in the identity of self and the universal soul. In spiritual rituals, the water channel represents new creatures that will fill the void of the universe with life. A characteristic of Javanese mosques is a veranda where shadow puppet (wayang) plays were performed. In earlier Islamisation, mystic Sufis modified Hindu epics in order to convert pagans, and these were played by wayang on verandas. Moreover, Javanese Muslims believe that the soul of ancestors was disguised as shadows to solve their problems in life. Consequently, the shadow puppet was a propagator for non-Muslims; a mediator to invoke ancestors by sacred rituals. Physically, in Sufiâ€™s mysticism, a veranda delimits the boundaries between the sacred and secular world. Its location around water implies Muslimsâ€™ purification before entering the sacred mosque, derived from the Cosmos Mountain, Meru where Hindu gods were surrounded by oceans. My paper questions of shamanic-mystic-syncretic Islam, and shadow puppet shamans through tangible, intangible ideas and forms in different beliefs and traditions in Java.